From Nairobi to Nuremberg, innovative fintech continues to tear into the traditional industry, carving out market share at a rate to write home about. Or, perhaps more pertinently, whatsapp, tweet or pin about it. Smartphone-only bank N26 has seen its customer base triple to 300,000 in just one year, extremely healthy growth by anyone's standards. Without the burden of costs associated with maintaining a traditional network of banks, N26 is able to offer more competitive rates on savings and loans. Offerings that are invariably proving popular with consumers rewarding N26 with sought-after exponential growth. Nevertheless the competitive advantage gained by N26 is one, if replicated across industry, would leave those who are unable or unwilling to embrace mobile technology squarely under-served. And this is no hypothetical question, as UK banks look to pare down their little used but expensive-to-run branch network there is ever fiercer criticism of communities being abandoned to hardhearted commerce. Yet with the likes of N26 nipping at their heels do the established players have any option, unless they want to see the most profitable customers cherry-picked by start-ups able to operate at a fraction of the cost. With blockchain-driven technology likely to drive those margins lower still, it is not a question of if but how fast bricks-and-mortar will disappear. The question for governments to face up to is how to manage a decline of banking services for those, typically the elderly, who are absolutely reliant on the traditional ways. 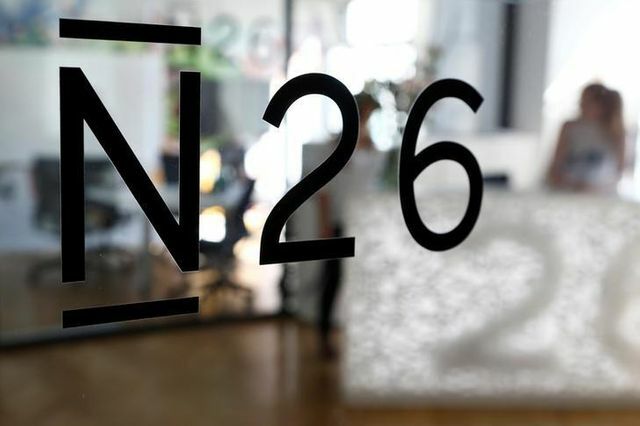 German smartphone-only bank N26 said on Wednesday the number of customers using its online accounts rose to more than 300,000, tripling in size from a year ago, as the company marks progress as a pioneer in pan-European banking for mobile phone users. The Berlin-based company is backed by Li Ka-shing, one of Asia's richest men, and Peter Thiel, a co-founder of PayPal and an early investor in Facebook, along with other investors. N26, which was founded in 2015, received its banking license from German financial regulator Bafin last year. It offers online accounts for cash withdrawals, savings and insurance services that users manage on their mobile phones.